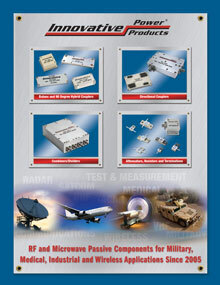 Unlike the typical quadrature hybrid which has the same impedance at all four ports, this new patented design provides input and isolation ports at 50 Ohms and the -3dB ports at an impedance other than 50 Ohms, for example, 25 Ohms. The impedance transformation takes place inside the coupler, thus allowing it to be used in mixed impedance systems. This impedance transforming coupler is ideal for splitting and combining of Mimics which may have input or output impedances other than 50 Ohms. 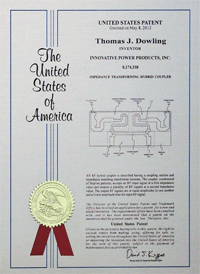 Our innovative Impedance Transforming Coupler design was awarded a patent in 2012.